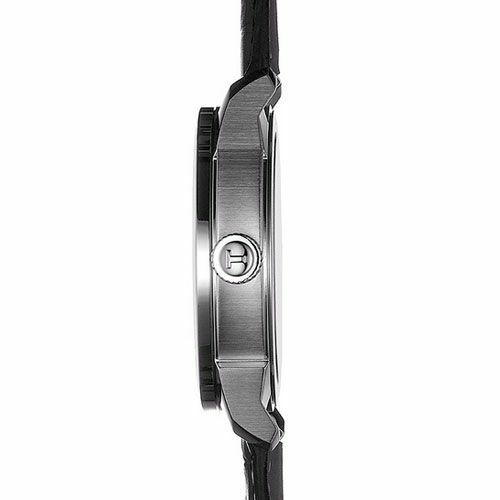 The Gents Swiss Mechanical Watch boasts a modern design with a classical style. Featuring a stylish black dial, with refined detailing and a contemporary black leather stap - Suitable for any occasion. 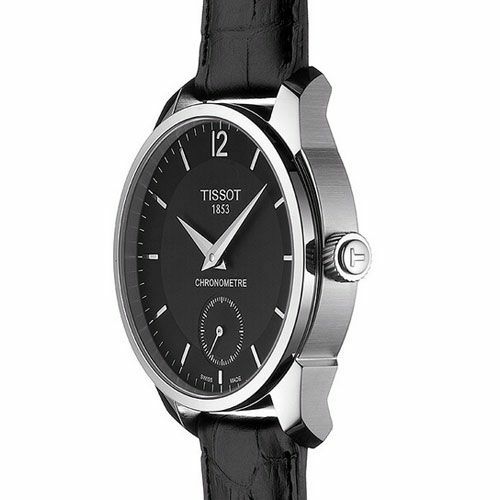 A elegant Gents Tissot Watch, offering a contemporary design with reliable Swiss quality. Suitable for both casual and formal occasions - This an ideal gift choice for someone special. 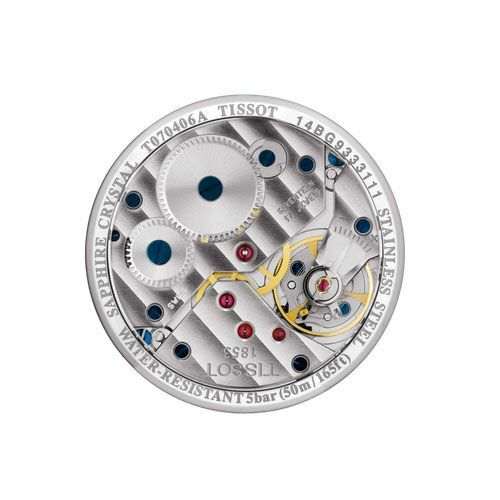 The Tissot T-Complication Watch offers Simple precision, derived from the piece that won not only the first but also second prize of the “Coucours International de Chronométrie” in 2013. The watch itself is simple yet details such as a guilloche on the dial provide it with a touch of elegance. Its precision is perfectly highlighted with a second counter centred at 6 o’clock. It will allow being on time no matter the location around the globe with its automatic chronometer precision, officially certified by COSC (Contrôle official Suisse des Chronomètres) the T-Complication Mechanical Watch exudes vintage class, while provding a 53 hour power reserve. 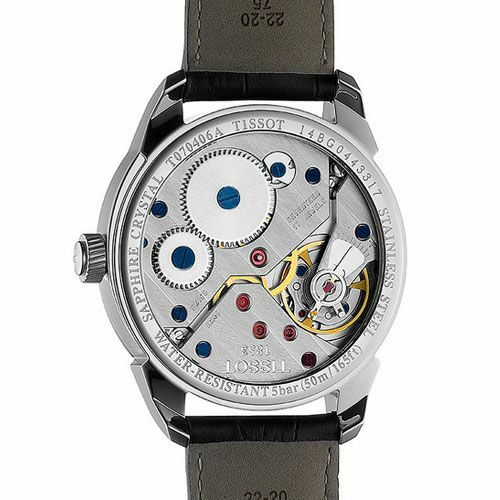 This Swiss Mechanical Watch from Tissot easily matches any outfit style. 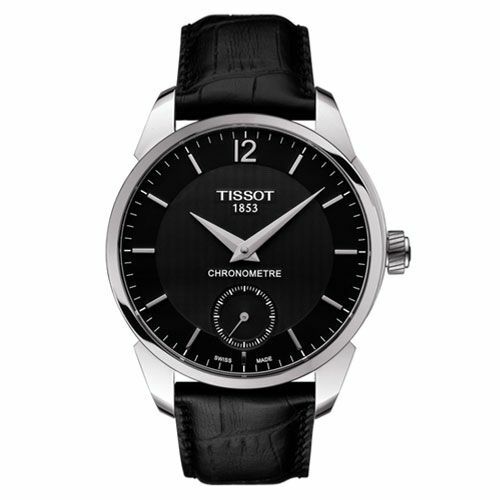 The leather Tissot Watches are high quality Swiss Watches, providing endless hours of precision with sustainable style. 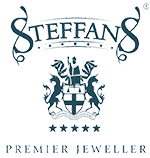 Perfect to be combined with designer jewellery pieces from our Gents Jewellery Collection to create a fabulous look. Purchase the designer Tissot Watch from Steffans Jewellers today for FREE Next Day Delivery, with 60 day returns on all orders and an optional gift wrap service. All Tissot watches are packaged in branded packaging with a warranty card.